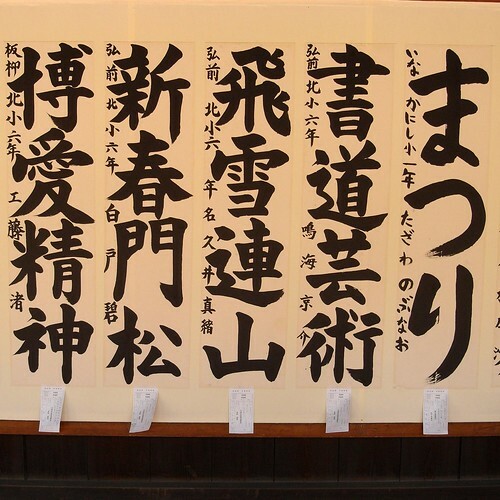 Calligraphy, Meiji Shrine, originally uploaded by Eric Jeschke. I spent some time last week in Japan fondling cameras at one of the major department stores. As I’ve been noting in this blog, I love the handling and files from my Ricoh GX-100, but it has not been reliable. Like a lot of other photographers, I’ve been salivating over the prospect of a compact, interchangeable lens, all-electronic camera. The Panasonic G1 is in the vanguard of what is likely to be a growing and robust market segment. I came this close to buying the camera, and if the dollar had not been so weak, I probably would have made my way home playing with a new G1, that’s how much I liked the camera. But the price is a bit high for the camera, especially at the current exchange rates, and a few niggling doubts still clung to my brain after some extended fiddling and rereading the internet reviews to date. Nice build. Looked pretty rugged. The controls felt just a little too flimsy for my taste, especially the finger scroll wheel on the front. Good size, but a bit bigger than I am looking for in a compact camera. This was offset by the low weight. It was actually lighter with the kit lens than the smaller Canon G10 that was sitting near it. ( I played a bit with that camera too, but that’s for another post). Since the GX-100 is really too big to put in a pocket with necessary dust protection, I’d taken to carrying it around in a pouch with a shoulder strap. So I was ok with the idea of a slightly larger, verging on small DSLR size camera that I’d carry around in such a pouch IFF it was light enough. Great electronic viewfinder. I didn’t get to play with it in low light, which is where I hear it falls down, but it appeared to work great under moderate fluorescent store lighting. The manual focusing was unlike anything I’ve seen on a compact, and looked even better than I remembered from my SLR film days, with the exception of not having a split prism. It was bright, clear, sharp…very nice. Auto focus seemed very fast and reliable. No lag, locked on to everything I pointed it at. Focus tracking seemed to work well too. Ergonomics: would have liked to seen more manual control wheels, but what it had was pretty nicely implemented. It was a bit like working the GX-100, a pressable wheel and a few dedicated buttons makes short work of changing settings. It certainly felt “good enough” in handling. Image stabilization only in lenses, not in-body. One of the advantages of buying this would be to get the Milich GT adapter and use it with all kinds of great older lenses. But I like stabilization so much I don’t want to live without it. If its built into the camera body, you get it for free with any lens. No video. Yes, I am looking for video in a carry-everywhere camera. And I don’t apologize for it. Slow kit lens, and currently a pretty slow lens lineup. if you are going to buy a big sensor camera, don’t hobble it with slow lenses. That’s about it. There was an awful lot to like about the camera. I’ve decided to wait a bit more and see if the Olympus micro 4/3’s offering or the followup to the G1 (rumored to have HD video capability) will be the ticket. In any case, it was pretty nice to see a good, solid offering in this market segment, and I’m sure Panasonic will sell plenty of these units, especially after the generally good reviews that have been going around. Hell, I might buy one on a bargain price when the G1 followup comes out and the price plummets!